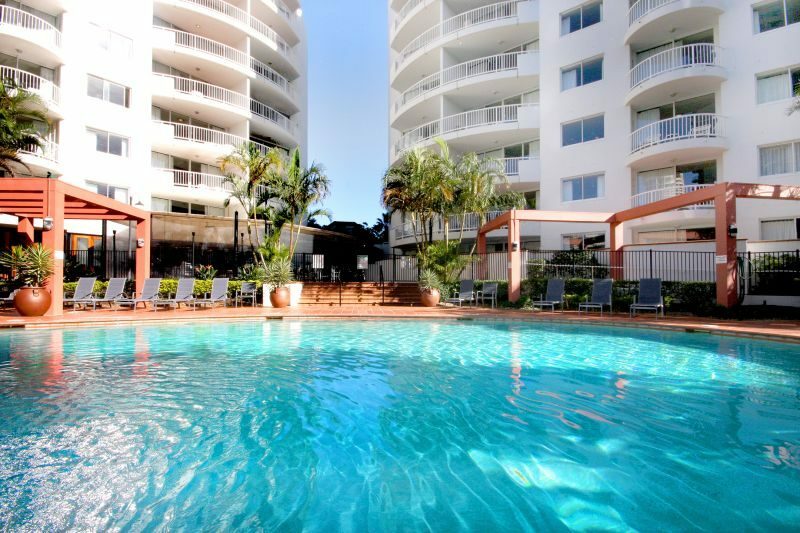 Famous for fun, the Gold Coast is no shrinking violet when it comes to providing accommodation. In fact with so many options it’s almost overwhelming trying to narrow down the choices. It’s no wonder, considering that the Gold Coast region hosts around 10 million visitors each year. That’s almost half the population of Australia! 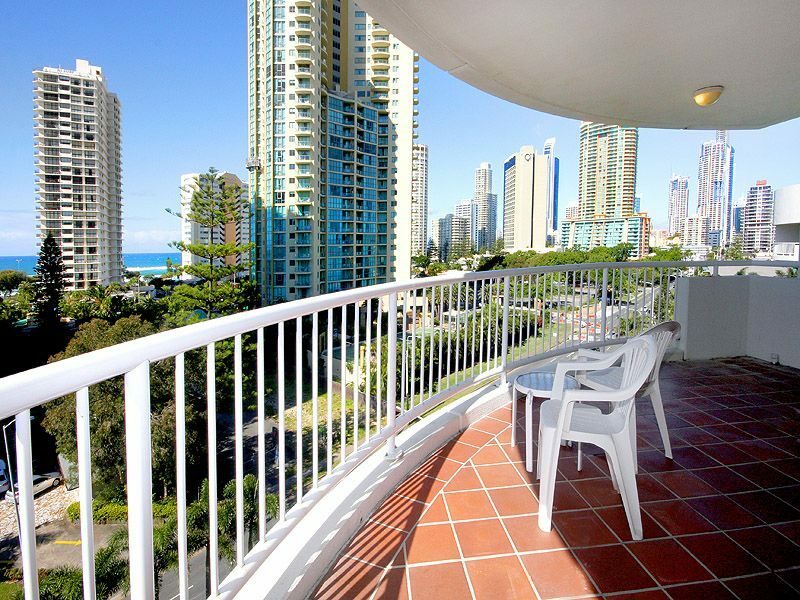 Attending a work conference recently at Surfers Paradise (yeah, right, I hear you say, who goes to work at Surfers? ), the pesky task of choosing accommodation was made for me when an email from Alpha Sovereign Hotel dropped fortuitously into my inbox. It turned out to be a splendid opportunity. Close enough to the action both on the beach and on the party strip, this resort style apartment hotel was just far enough away to not trouble me with noise from all night partygoers. Importantly, the beach was close enough for me to smell the salt air from my bed. With the new Gold Coast light rail transport system, Alpha Sovereign Hotel is well connected to the rest of the coast with Surfers Paradise North station almost on the doorstep. It was also a fab location for my early morning beach runs, with shady paths running north and south. Unable to decide, I ran a few kilometres in both directions. 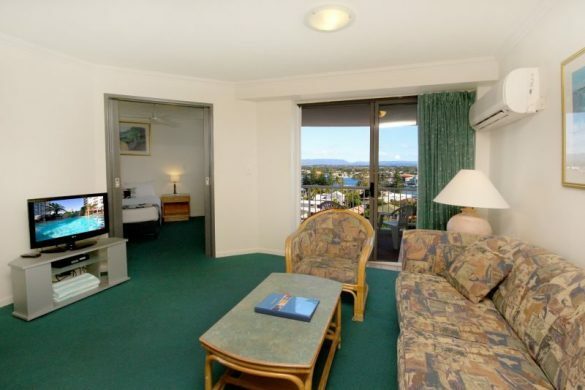 Though my weekend visit was way too short, the Alpha Sovereign Hotel is well set up for an extended stay, particularly for families or couples travelling together. Travelling with a friend, we checked into a two bedroom suite on the eighth floor. With separate lockable rooms sharing the same entrance, it was a perfect option, allowing us to come and go without disturbing the other. Though I definitely had the better deal (sorry Briar! ), with my room containing a large living and dining area, kitchen and bathroom with bathtub as well as a separate bedroom. Though the apartment was air-conditioned I welcomed the inclusion of ceiling fans and windows that actually opened. There’s nothing quite like the sound of waves crashing on the shore while drifting off to sleep. With views between other apartment towers to the beach and a decent sized balcony to watch the sunrise, it was hard to deny the allure of that famous Gold Coast beach each morning. Though I could have just easily lazed around the swimming pool, time didn’t permit to soak up the sun in poolside sun lounges. That’s the downside to attending a conference in such a splendid location. While the rest of the city kicked up her golden heels, mine were rather firmly entrenched in sensible conference-ready shoes indoors. No matter, it’s unlikely to be my last visit to the Gold Coast. I’d definitely stay at Australis Sovereign Hotel again.